at Prices You Can Trust! Experience, Integrity, and the Best Service! For more than 70 years, Texford Battery Co. has been one of the leading members of the battery industry. We carry more than 3,000 different batteries and battery products that can meet virtually any need imaginable. Our locally-owned and -operated business is proud to serve Houston and Southeast Texas! Texford Battery Co. has been the premier battery store in Houston, TX since 1931. Because of our long and extensive history, we have been and continue to be one of the regional industry leaders in battery sales and services. In the 1970s, we were a founding member of the Battery Marketing Group, which allowed us to offer a precedent-shattering product line at extremely competitive rates to all of our customers. Today, we are bringing that legacy into the 21st century by offering more than 3,000 different types of battery products for you to choose from. We are a proud member of Houston’s business community. We have more than seven decades of experience in battery sales and services. Our store distributes hard-to-find foreign batteries and components. Texford Battery Co. is committed to providing great variety at affordable prices. 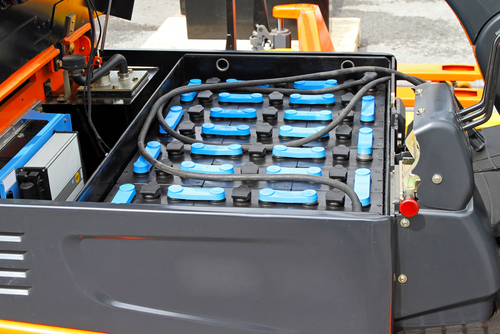 Our shop offers a wide range of battery services, such as testing and filtration. We stand behind our products, no matter what. If you are in need of batteries in the Houston area, reach out to the region’s most trusted professionals. Call Texford Battery Co. today!